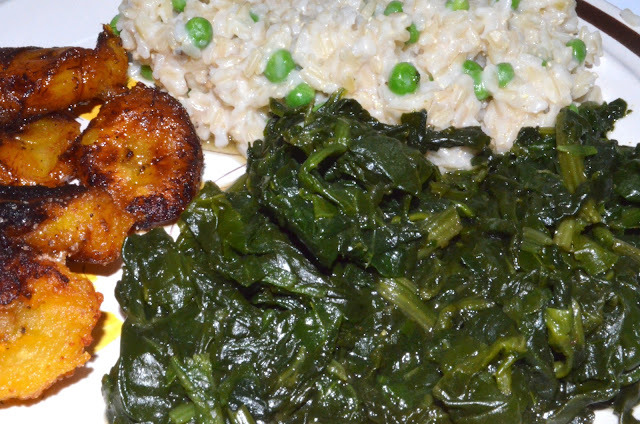 So I tried to replicate the meal with great success except for the spinach of course. Even though it was good, it is still missing something...If you know what herbs she's using please drop me an email lol. Rinse spinach. Chop onion and garlic to desire sizes, then sauté them in olive oil for a few minutes. Add vegetable stock, cook for 5 more minutes on high. 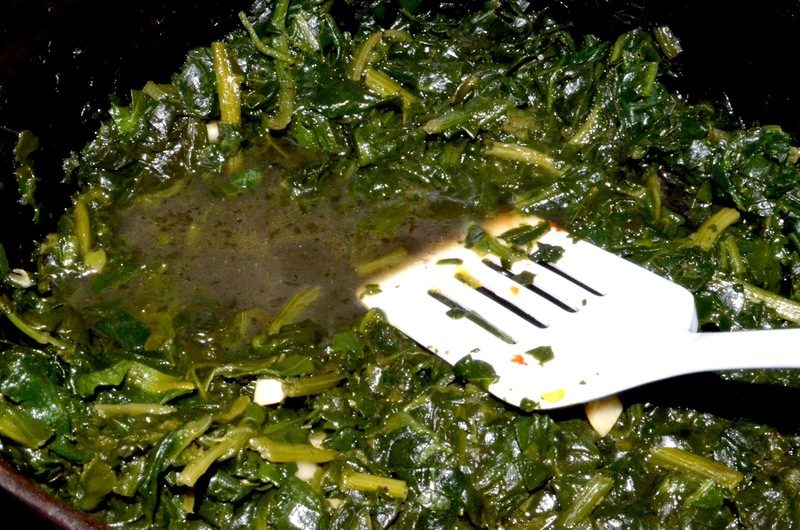 Next, add spinach and all other seasonings. Cover and cook for a few more minutes. 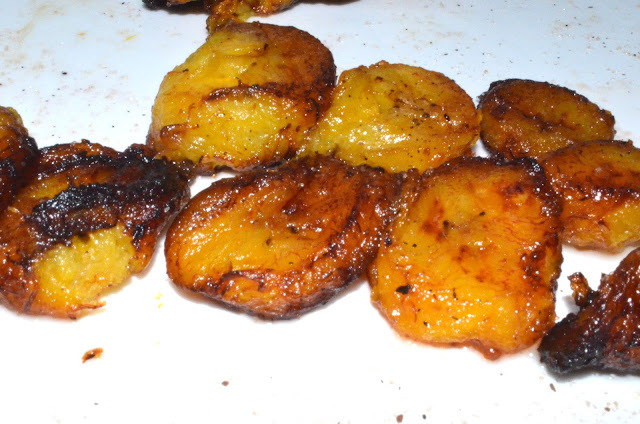 Slice Plantains in thin slices. Then put Sea salt on to taste. 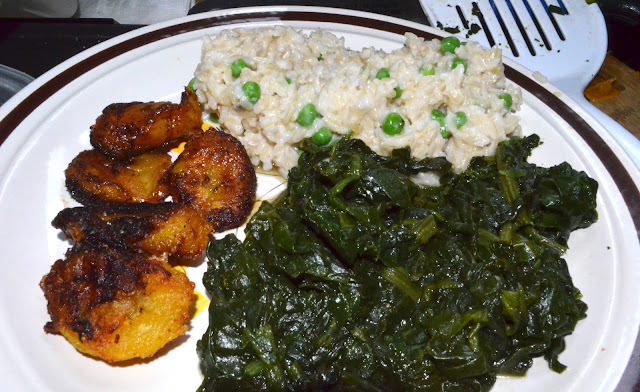 Heat coconut oil, then place plantains in hot oil for a 3-5 minutes and flip to other side for another 3-5 minutes. I let mine get a little crispy but cook to your desire texture. After brown rice is cook, let cool down. 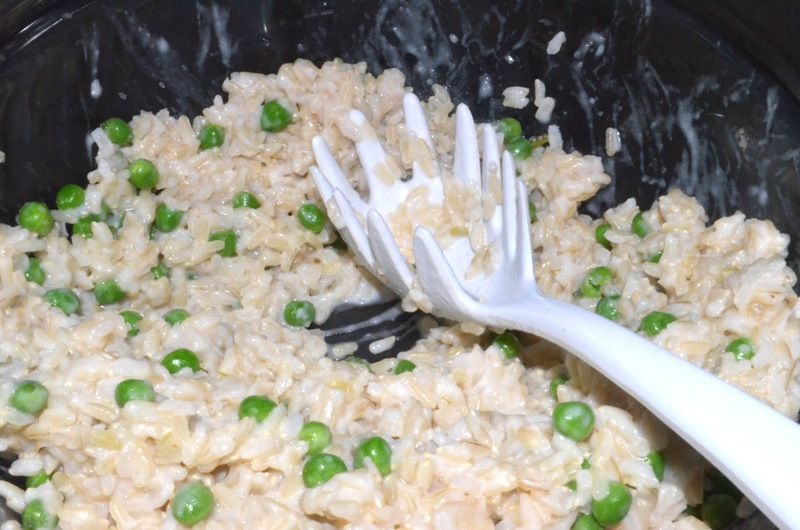 Add peas and coconut milk, then mix well. That looks awesome! reminds me of some flavors I ate on a trip to Belize!